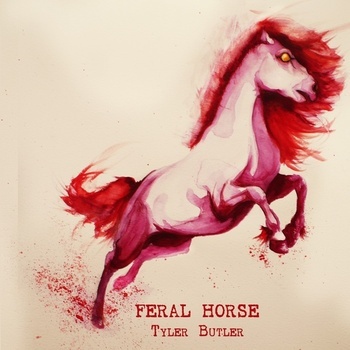 Mid 2010 found Tyler Butler recording a new-to-me session (I actually just found it the other day) for his Feral Horse EP that was released in January 2010. I wanted to touch on this release as I tend to get wrapped up in his newer album Winter King and forget the amazing debut by this Edmonton singer songwriter. I wanted to post these two videos because they are great songs and let’s face it, they are still new to me so I am in the honeymoon phase of ‘new’ things. As I tend to enjoy the stripped down fully acoustic versions of songs, these live solo videos do this in fine fashion and almost comes across as an alternate version. Currently my favourite of the two is the title track Feral Horse as it is truly a finger picking sombre track – so then, right up my alley. Check both videos and a stream below. The Edmo Sessions Vol 6 – Tyler Butler – Feral Horse from Daelan Wood on Vimeo. The Edmo Sessions Vol 6 – Tyler Butler – Maythorn from Daelan Wood on Vimeo. Tell me that isn’t great? Well thanks to The Edmo Sessions for providing these great videos and an early look into Tyler Butler’s excruciating talent. Find them online here and the Tyler Butler session here.